To assist the UK’s Armed Forces in preparing for operating Typhoon and F-35 together in 2018, a series of live simulated mission scenarios are taking place involving the latest standards of F-35 and Typhoon aircraft. 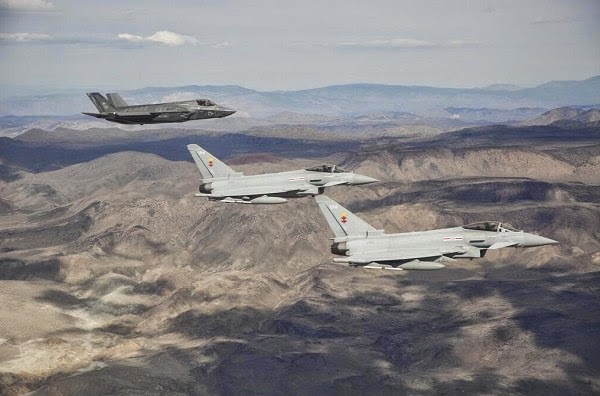 The latest scenario saw four F-35 aircraft operating alongside two Typhoons and an E3D Sentry, each simulator equipped with the latest representative mission system from the aircraft. The trial was the fourth of its kind linking simulation facilities from multiple UK locations to create a common synthetic environment to evaluate F-35 interoperability with other UK platforms. In the mission the F-35 aircraft and Typhoons were tasked via digital datalink by the E3D Sentry crew to investigate threats in a defined location. The F-35s first located the threats and then conducted an attack against a range of fixed and moving ground targets. At the same time the Typhoons were tasked by the E3D to engage several hostile air threats. Royal Navy and Royal Air Force pilots flew the four F-35 aircraft from Lockheed Martin supplied desktop simulators at our site in Samlesbury, Lancashire. A Typhoon instructor pilot and one of our test pilots linked in from two Typhoon simulators at RAF Leuchars and two E3D Sentry crew joined the scenario from the Sentry lab at RAF Waddington. 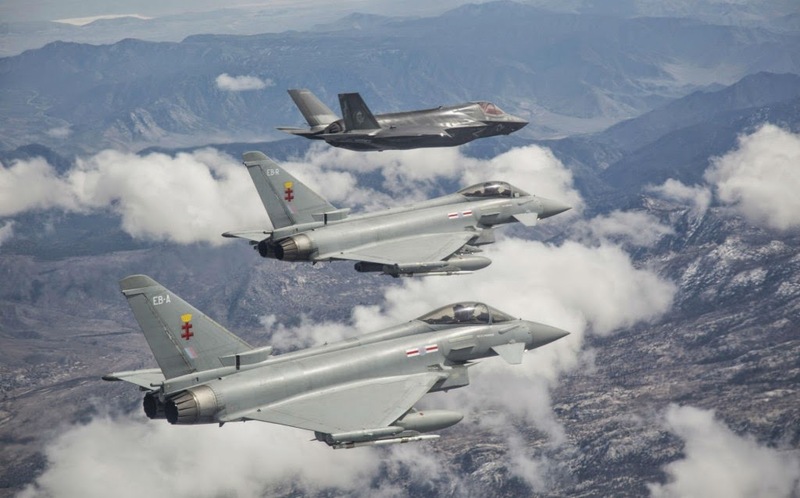 Lt Cdr Mark Humphries, Air Warfare Centre Waddington, who took part in the trials said: "The exercise today has been valuable in helping us to begin to understand how F-35B will execute an armed reconnaissance mission. Later in this decade the UK will be operating a combined fleet of Typhoon and F-35. It's important that we put in the groundwork now to help inform the Concept of Operations and ensure the interoperability of both platforms." We are responsible for leading F-35 integration activities on behalf of the UK’s Armed Forces. A second series of trials is due to commence later in 2014 which will see the addition of land assets and operators and the inclusion of air-to-ground datalinks into a range of scenarios.